If you want to get a head start on this years Mother’s Day gift than check out this deal from Snapfish. 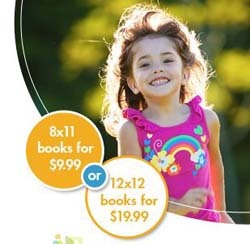 You can buy an 8 x 11 photo book for just $9.99 plus shipping. Use coupon code CUSTOMBKS811 at checkout. Thanks to Freebies 4 Mom for this great photo deal.